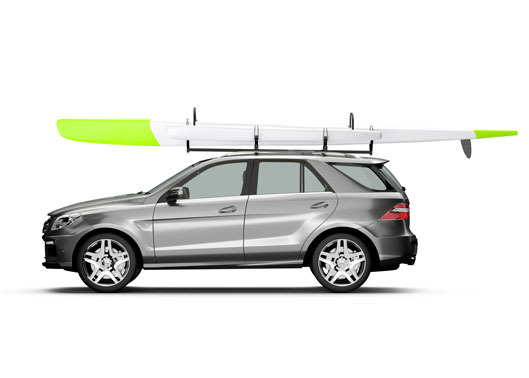 The KayakPro® Racer Racks are designed primarily for ICF K1 racing kayaks. 5.2m [17’ 3”]. 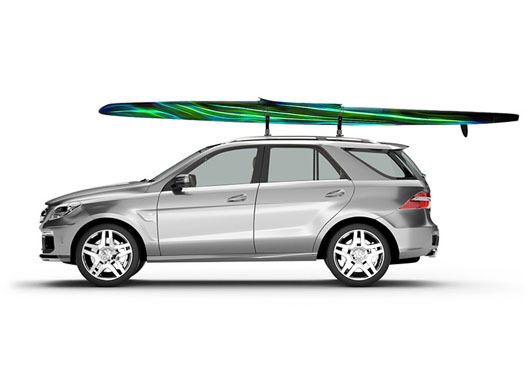 Racer Racks [with 4 x attachment bungees include] fit directly on to the cross racks of your vehicle. 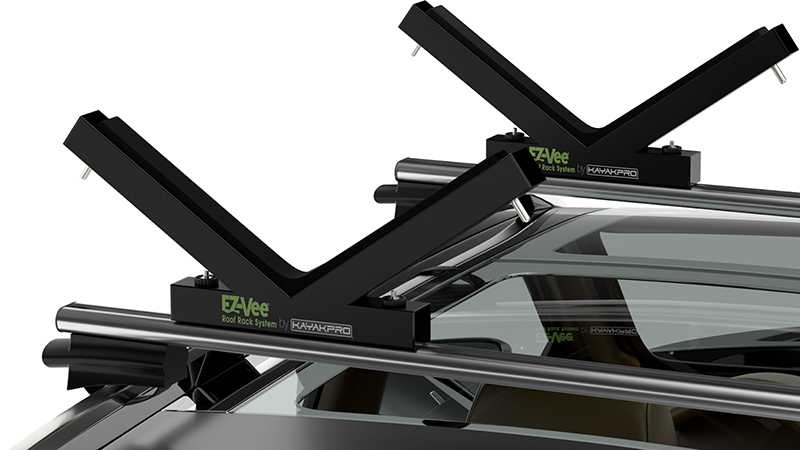 Choose your EZ-Vee Racer rack based upon your particular cross racks. 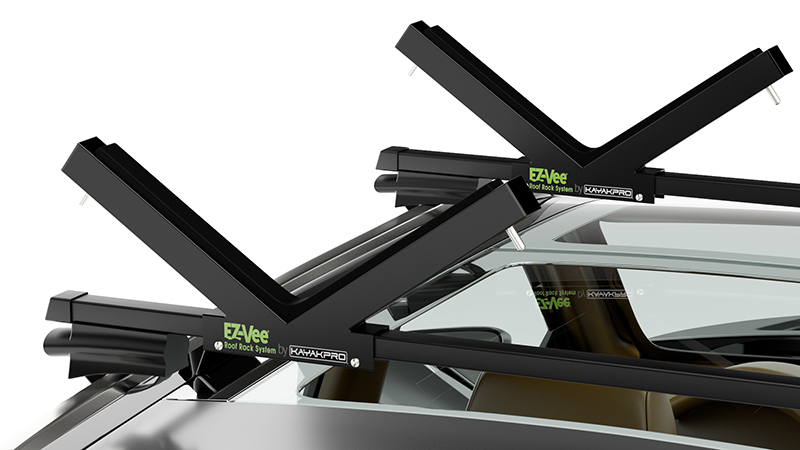 All models are beautifully finished in a black, automotive quality, robust powder-coat finish. The super-foam padding allows you to carry and care for your Racing kayak with complete security giving you easy fixing and speed of loading. · 2 x Racer V’s. · 1 x Red safety tail flag. · 2 x Cam straps for added security. The 3 different types of cross bar fittings can accommodate most cross bars to provide a low cost, safe and easy and secure way to carry your boat. *Round / Cylindrical Yakima Racks excluded. Racer racks for Factory Cross Racks and Thule Aero Style racks. * Ensure the spacing between your cross tracks is a minimum of 90 cm [36 Inches]. 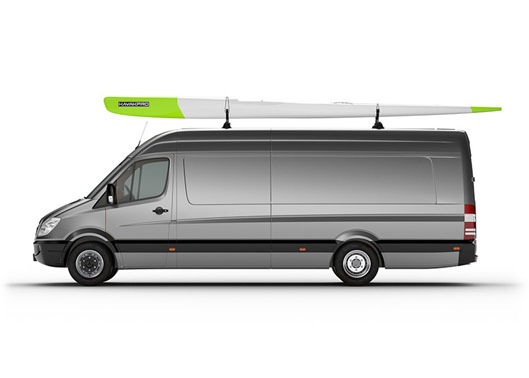 In order ensure stability for your kayak. 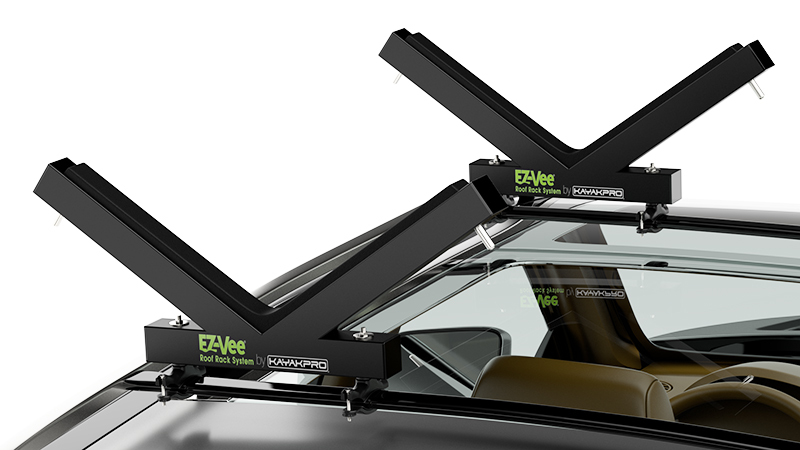 * Different Vehicle roof lengths will allow greater spacing and alter the boats that can be accommodated. * Please also refer to our safety guide lines for carrying boats. Use EARLYBIRDBUY Promo Code to get your 10% Discount.